Sasha Farina. Paper. Play. 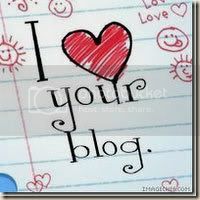 : I love your blog! The rules for the award are - (1) The winner can put the logo on their blog. (2) Link the person you received your award from. (3) Nominate at least 7 other blogs. (4) Put links of those on yours. (5) Leave a message on the blogs of the girls or boys you’ve nominated. 1. Aleida - The girl with a beautiful family, so kind and warm and so very talented! Kisses for Bella, A! 5. Sophia - just got to know Sophia when she visits my blog and I love her style already! 7. Issa - got to know her at a local forum and boy, she can really scrap! Good Luck Issa for Scrappin' Mom Idol 2! Oh my!!! Thanks Sasha! What an honour for me to have you nominate my blog. Hey! I saw you on OLW! Glad I get to see your fantastic pages more:)!!! I am so honored to be nominated and that you thought of me. :) Thank you so very much girl. I'm all smiles.